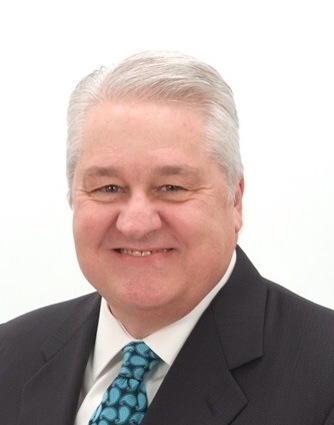 T. Dwight Spivey comes to the Church of God Foundation following his tenure as administrative bishop in Michigan. Dwight has ministered in camp meetings, youth camps, conventions, crusades, leadership seminars, and training conferences throughout the United States, Canada, Far East, and Europe. Beginning his full-time ministry in 1972, Bishop Spivey served as an evangelist, youth minister, senior pastor, district youth director, and district bishop as well as being appointed to regional and international boards and committees. He pastored for 20 years in Maryland, Delaware, and Southern Ohio. Since 1992, he has been appointed to numerous state and international leadership positions. Bishop Spivey served in Delmarva-DC as the state evangelism and home missions director (1992-1996). Subsequently, he was appointed to the international evangelism and home missions department in Cleveland, Tennessee as administrative coordinator. Following this appointment, Dwight served as an administrative bishop for the following twelve years. His tenure as an administrative bishop included Hawaii (1998-2000), New York State (2000-2006), and Eastern North Carolina (2006-2010). He was appointed administrative coordinator of USA Missions in 2010. At the 2012 General Assembly, Bishop Spivey was appointed as administrative bishop of Michigan (2012-2016). Bishop Spivey attended Brunswick College, Lee University, and the Pentecostal Theological Seminary in Cleveland, Tennessee. He co-authored The Holy Spirit…Experiencing His Power, Understanding His Purpose and he was coordinating editor on Church Planting America! Dwight is married to Gail, who is an Ordained Minister and has a love and heart for women’s ministries. The Spivey’s oldest son, Jim (Ondria), resides in Russell Springs, Kentucky where he pastors the Main Street Church of God. Their daughter, Heather (Barry), lives in Brunswick, Georgia along with three of the Spivey’s grandchildren; Hannah, Noah, and Elijah. Their youngest son, Shawn (Leona), resides in Knoxville, Tennessee with the Spivey’s youngest grands; Ellie and T. J.